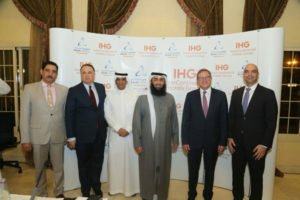 UK-headquartered InterContinental Hotels Group (IHG) has signed an agreement with Mohammed AbdulAziz Al Rajhi & Sons Investment to bolster its presences in the Middle East country as two hotels controlled by the Saudi holding will use the hospitality group’s new brand, voco. “Saudi Arabia has always been a key market for IHG, and we have built a strong portfolio of brands across the country over the years. We are delighted to be continuing our expansion across the country, in partnership with Mohammed AbdulAziz Al Rajhi & Sons Investment Co. This agreement is particularly exciting as we are debuting voco in Saudi Arabia in line with our ambitious plans to accelerate the growth of the recently-launched upscale brand across the region,” said Pascal Gauvin, managing director, India, Middle East & Africa, IHG. As per the agreement, Coral Hotel will turn into voco Al Khobar while Holiday Inn Al Khobar Ulaya, also owned by the Saudi group, will undergo relooking works to become the first managed Holiday Inn in Al Khobar. Voco Al Khobar will open in 2019 and will offer guests the informality and charm of an individual hotel, with the quality and reassurance of a global and respected brand. Holiday Inn Al Khobar Ulaya will open its doors 2020 and will provide hospitality services targeting corporate and leisure travelers. IHG has a long history in the kingdom and in the region through five brands namely InterContinental Hotels & Resorts, Crowne Plaza Hotels & Resorts, Holiday Inn, Holiday Inn Express and Staybridge Suites. The group is expected to add 30 other hotels in the near future.